Using Blender (open source modeling program) for content creation. Sim City 4 Devotion Forums » Forum » SimCity 4 General Discussion and Tutorials » SimCity 4 General Discussion » General Custom Content Discussion » Using Blender (open source modeling program) for content creation. Re: Using Blender (open source modeling program) for content creation. Likewise applying a scale factor of 292 is way too much. And keep in mind pulling the camera back makes absolutly no difference to how much of the model is in the camera viewport (nor does changing the rendered output dimensions btw). As said, the orthographic scale is similar to zoom but not quite the same. Guess the question is; if the gmax / ingame cameras are pointed down towards the ground, what are the dimensions (in meters) of the surface area captured? At least if I understand correctly this should correspond to the orthographic scale used by Blender. These are very interesting discoveries! You've made great progress - this is starting to look a lot better every time you post - do you feel like an explorer in 1492 yet? yes I recognise those - fundamental unwrapping of the 3D projection back into 2D. Yeah that helped Matt as I managed to get confirmation about the orthographic scale. First I calculated the fov according to script, using a targetWidth2 of 24 (composed of mesh width 16, and viewportSlop 8 as defined) and Target_Distance of 190. Next using the fov angle and known camera height in the Blender scene (142.35) I calculated the length of the opposite side of an imaginary triangle, as if the camera was looking down, which came out as 36.54528. Very close to what I arrived at manually indeed (and btw the hypotenuse of this triangle is 146. . ). However this seems a bit roundabout way of getting the scale, seeing the orthographic camera in Blender does not have a field of view property (and which appears to be different from max as the render camera does have a fov set, however, orthoProjection is set to true as well). Besides it still leaves the camera offsets and output dimensions to be calculated as well. . so yeah.. However looking over the entire script a few times I got a vague idea of the steps involved rendering a model of arbitrary size, so I'll have to do some digging in the Blender api and refresh my trigonomy to figure things out. "the angles and the scale.. it's, like. . all related man" Yeah I know exactly what you mean. A lot of the time its "miracle occurs here" until something drops into place. If I can help in some way don't hesistate to ask - perhaps I should download Blender and see if I can parallel your efforts so we have notes to compare? Im a bit of a noob with modelling programs though. Yeah, to clarify, the prob i'm having isn't importing the model; it's successfully applying the textures i baked in Blender. Has anyone managed to do this? I baked a texture map, but I can't seem to get Gmax to import the UV map from Blender w the 3ds file, and even if I do manage to get the map into Gmax (via exporting from Blender as a .obj file), the baked textures don't seem to follow the map and thus show up on the model as a giant mess. Ugh. And eggman, your method sounds fascinating, but it's well beyond my experience at this point! If I export 3ds from Blender, most of the time it doesn't work in gmax for me ("improper format" or so). c) import the dae into the model above converter and export as 3ds. Please tell me if this works for you too. Thanks. At any rate, I'm confident the scaling can be resolved one way or another. Either by doing it in the roundabout way of calculating a fov first, then somehow fitting it in camera view. Or by taking a cue from the (g)max scripts and using transform & camera matrices to work things out. Either way both solutions wil need a proper functioning add-on to make use of, so that's what I decided to focus on for the time being. Shown below first glance at the add-on located in the 'output' context menu, which I figured was appropriate. Besides is isn't as cluttered as some of the other context menus so scrolling is kept to a minimum. Next thing will probably be figuring out how to handle rotations. I noticed the (g)max script actually seems to rotate the camera (and I presume lighting) around the object. However at the moment I'm thinking to rotate all the scene objects around the world origin, as this functionality could potentially also benefit making diagonal and far renders. Moreover I'll need to go over all the scene objects anyway in order to fit the LOD. So yeah, lots of details to be hammered out still. Thanks for the tips - I have downloaded it and taken a look and I agree its like standing in a blizzard looking for a particular snowflake. At least I don't have the advantage? of having seen previous versions. However I did also take a look at the manual for scripting and it appears nearly all of the internal data model is available with appropriate code. I'll need to wrangle the language first. I've given myself the project of seeing if I can make an action panel based on one we know well from (g)max and see if I can gradually hang things off that. At least once its set up I won't have to look about as much. Your example is the sort of thing I had in mind. Then I will also have got a bit of a grip on the syntax and feel of a tiny piece of the data model. However at the moment I'm thinking to rotate all the scene objects around the world origin, as this functionality could potentially also benefit making diagonal and far renders. Moreover I'll need to go over all the scene objects anyway in order to fit the LOD. easy? nope. Each word is like an explosion - gets big fast. A question - can you set Blender up to be/work in Left Handed, XZ base plane, Y pointing up Coordinates ie in DirectX mode a la SC4, or is it Righthanded XY baseplane, Z up only? Secondly, the new version does introduce an unwanted side-effect in that if you search for 'how do I do this specific thing in blender' around 95% of the results are for older versions. Yeah, that's def true. I've gotten pretty good w Blender over the last couple of years; if there's anything specific you're struggling with, feel free to ask, and maybe I can give you the answer? BAT handles the various rigs by linking them to a helper object ("TB2CameraHelper" or something like that), which everything else is linked to. Right now in BAT4Max the cameras are in their own scene(because the cameras never change) which is xreffed, and linked to the helper object. The lights used to be separate from the scene as well, but now they're within the scene itself, because they're constantly getting changed to switch between day and night(s). So in BAT, when you change the rotation, the only thing it's doing is rotating one object, the helper object. If there's an equivalent in blender, the lights and cameras should be linked to a helper object, and that way you just need to rotate that one thing every time. Rotating the entire scene is more prone to introducing problems. What if all the building parts get rotated inconsistently? Or when you rotate the view for a preview render, does that change which facades show up in each viewport, and which parts of the building correspond to which axis directions changes every time you want to do a different preview render? FAR and diagonal BATing could be approached different ways. I don't think an export setting would be as useful here, because when you make these buildings you usually need to customize them a lot first. It's not just a matter of it needing to be rotated, unless the building is completely freestanding and doesn't line up with roads or anything. The difficulty of those things is having to work both diagonally and orthogonally at the same time for different parts of the building. In 3ds Max, it's possible to create grid objects (which you could then rotate, so you could have your normal grids and viewports but also have grids/viewports for your FAR/diagonal facades), and having buttons to press to create those automatically would be useful, if that exists in blender. Unfortunately, while I have some memory of BAT4Max getting developed, the most I've ever done myself are very very simple edits. I've also never used blender before. But when it comes time, I can help out more directly by helping to put together good lighting and rendering settings with the new renderer, so that things look good, match well, and are hopefully fast to render. Using the Blender Application, to be able to produce .SC4Model files for rendered 3DModels, compliant with the parameters demanded by the SimCity4 application and with final outputs as produced by the gmax BAT tool. - BAT4Max v6? fixed DarkNight (or a variable equivalent) Day and Night both fixed renders. Setup/Manipulation of Camera, Lights for Day and Night(s). Legacy Compliance with SimCity4: must produce like outputs from gmax BAT. This custom application for Blender v2.8 and following, is largely a porting operation from gmax BAT scripts, with all internal gmax program/function references taken up by Blender/Python equivalents. The gmax Scripts comprise 7000 lines of code - even at only at 5 min per line (understand, translate, test) this is 600 hours of code translation. Also, I'm not sure that all of the "parameters" of BAT are in the scripts - where are the art things actually defined? Documented? There are some things done outside of the script by MAXIS code I think - not clear yet. There needs to be a lead on Art, one on Technical and one on Prototyping/Testing. And Someone in charge of the charge. The work should proceed from the Art (Blender) towards the production of Correct Render and LOD, the technical from outputs backwards (from SC4) to there. This allows for a synch point. There is an overlap where technical control of the app is needed to produce the art - Menus, Rigs, Command Buttons etc. hence coordination will be necessary. We will have to bootstrap up from Prototyping to Structured development - its a LEGO challenge. This is a project equivalent in complexity to a NAM release that revises legacy with something new (think Flex replacing Puzzle Pieces) - will need the same dedication, perserverance and patience - is it worth doing? or are we too late? can we get this sort of team to stick? can we find enough of the right talent? real volunteers? please discuss and refine (what is missing?, what can we drop?). I will collate specification items. Damn, you can manage one of my projects any time! I'd love to help however I can. My previous posts in this thread were made when I .... well, I had no idea what I was doing, tbh. Now that I've actually used the existing Bat4Max, I have a better handle on how the process works and what the scripts actually need to do. 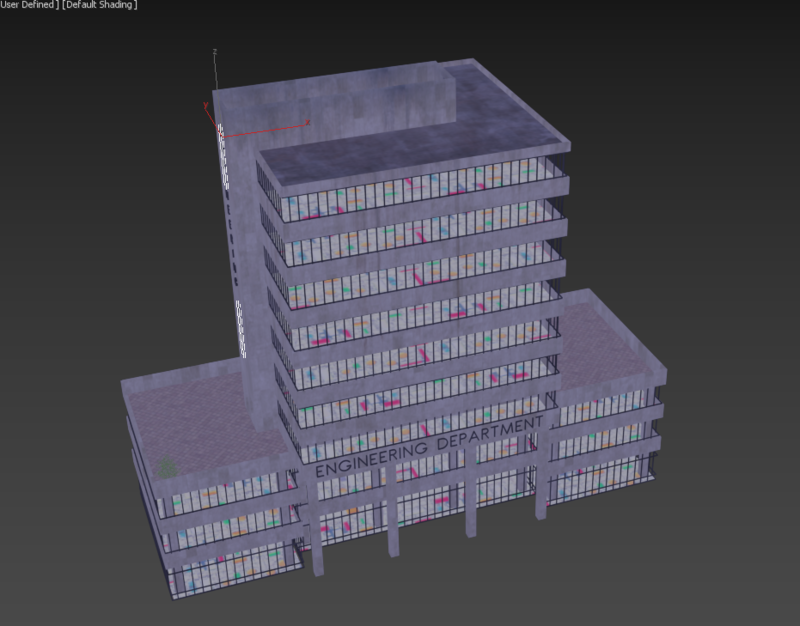 I'm not a programmer, unfortunately, but I am fairly familiar with Blender and how it works, having used it to model and export several buildings that I rendered with 3ds Max. I've also done a fair bit of experimentation with Cycles Render -- before I got 3ds Max, I textured and rendered several models in the hope of being able to bake textures etc and import them into gmax to render as .SC4Models. (That didn't work, sadly -- I couldn't get gmax to successfully import the baked textures and UVs, which is what one of my previous posts here was about.) But yeah, I have a pretty good understanding of how to texture models and how to fiddle with Cycles' settings to produce something that looks reasonably BAT-ish. a) How do you record Macros and get them out of Blender into a script? Using macros tells us a lot about how to code the scripts later and may save us quite a bit of coding. Its a trick I use in Excel when I havent got a clue how to code something - recording actions as a macro and then editing it is easier than inventing it from scratch. a) can I have a copy (zip) of the BAT gamepack folder for BAT4Max as it is in your setup, please. I dont have 3dsMax at all. You probably have the most recent completely working BAT4Max setup that I know of. I can then compare these scripts (and executables) with the gmax scripts to see exactly whats changed over the years and also figure out more of how Bat4Max works. Some snapshots of the tool Rollout would also be useful. b) would you consider the following idea for a reference BAT. Imagine something one could put to use in-game but that anyone can primarily use to test the scripts and strengths/weaknesses of gmax, Bat4Max and Blender (eventually). Also it might help people calibrate/improve their color setups. renderable in gmax, Max and Blender (we have no data to compare). Of course, you may actually already have one you prepared earlier given a number of your recent FAR (out) productions. Yeah no kidding, I've got a few projects laying around which would stand to benefit from such analysis! Thanks for the breakdown(s) Ron, and also thank you Jason for your input. I've wondered what those handlers were exaclty. Also hadn't thought about the positioning issue when rotating models, and given the other issues you mention it may indeed be more beneficial to rotate the cameras & lights instead. I'll have a look around if Blender has similar capabilities for linking objects together in a scene. This is really excellent, because the (g)max scripts seemed a bit incoherent indeed. I figured it was my lack of knowledge regarding the scripting language and gmax in general which made it seem that way (though chunks of commented out code in a 'production' environment are never a particulary good sign . .). At any rate, while I do not know the Blender api well (yet) it's just a python library and by now I do know python well enough to make use of it. However, since we need to make such a large transition in code, we are not obliged to keep all features or methods applied in gmax, nor even functional constraints as long as we produce Simcity4 compliant outputs. Hence simplification should be a catch-cry wherever we can. Yes, this I feel is quite paramount to keep in mind for the time being as your outline, while comprehensive and feature complete, is quite daunting because of it. Yes custom lods, nightlights and tgi generation wrapped up in an automated process which executes with a simple button press would be very nice to have in the final end result. However if I understood Robin's post here correctly the majority of these steps can be taken care off manually with already existing tools. So I guess another way of putting it is I think the analysis could benefit from prioritisation of what goes into the proof of concept, or the minimal viable product, or however one wants to call the thing where a dozen manual steps are still needed to get the desired result. Friday indeed, plan on some tinkering time over the weekend. If it wasn't obvious already I'm the experimental starter type. already got some tinkering in and have Blender auto-completion working in pycharm and found a way to run external files from within Blender. The latter is really nice as the native text editor leaves a lot to be desired, to put it mildly. Also made a github repo, though the project structure is likely to change. yes that's possible, however, I'm not sure if changing the axis of an already existing blend file will affect the model, or have unwanted side effects otherwise. So perhaps it's best for now to leave it at default orientation as I reckon the majority of users and blend files available from share sites will probably use the default. And from my limited experience thus far with the exported .obj the defaults works fine when imported into gmax. However if I understood Robin's post here correctly the majority of these steps can be taken care off manually with already existing tools. Once we've rendered BMPs, provided the script can pass the right data along, we can make use of the same image conversion/importing process used by BAT4Max. When exporting the LODs, they will be imported into gMax (SC4 BAT), which will give our model an ID. So if we follow the BAT4Max process, i.e. selecting that model file when rendering. It can pick up the ID from the SC4Model filename? In essence, everything is handled inside Program Files\Autodesk\3ds Max 20##\gamepacks\BAT. Once you've rendered at least one model using BAT4Max, what resides there is pretty straightforward to understand. I've attached a sample .BAT file, which uses DatCmd / fshwrite as command line tools, for reference. So long as the Blender scripts can create/run the script, and place the rendered images into a similar folder setup, all the post render stuff is taken care of. Again, I think you'd want to mimic however BAT4Max handles this process, how straightforward that is, I can't say. a) can I have a copy (zip) of the BAT gamepack folder for BAT4Max as it is in your setup, please....... Some snapshots of the tool Rollout would also be useful. I've sent you a link for the file. I've also left the output files for the last several Bats that I have shown. While none has custom LODs, they may fit the bill, or just at least be useful as a reference. Here's one I just started. In the output files that I have sent you only one has transparency. So with this model I intend to give you transparency, custom LODs, foliage, both procedural and bitmap textures. The works. I can also add a 45 or 90 degree angled piece at the base if you want. Whatever you think will help. It must be noted that the way I model is really peculiar to me. Apart from Alex - xannepan - I don't know anyone else who uses these methods, which, for square buildings is mostly just lines/splines. Only when I need to do anything more complex or organic do I collapse to mesh or polygons. But both of which slow me down intensely (we are talking the difference between seconds to model, say a wall, with lines and days to model it with polygons). Later I can collapse these if we run into issues. But it is something to bear in mind. Thankyou Matt - package received - a quick look suggests that BuildingMill has grown by 1000 lines of code (65%) to 2500 lines. Ironically many of the 128 changes are removing old commented code so the change is actually bigger. The camera Rig is almost the same - just 31 changes. Pics of rollout are now in the archive. Progress report: I have found that about 500 lines of code in the old gmax scripts are either dead or unused. The building is quite the things I had envisaged. My logic is such - if Blender can't actually match Bat4Max in outputs then we need to find out where, how to compensate and make a decision if its worth it. Same goes for handling imports/exports. To get there we need something to compare with. The gmax bit is so that we have target files with which to compare the outputs into SC4, as Bat4Max produces files that are 2x larger than gmax to start with. This should also give the creator types something to get their teeth into as far as render settings etc. So thank you so far - brilliant, and I'm sure the Engineering Dept will find good use. 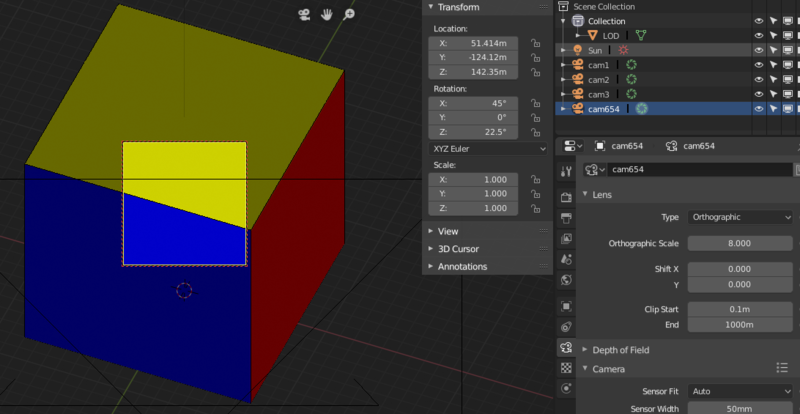 TODO: for someone - nail down what Blender/3dsMax/gmax/ (Reader takes .3ds) can actually exchange with each other. Not just file format - but content within - including textures, uvw etc., settings, any exotics like splines, NURBs, lights, scenes. Document (with examples) and make available. This is independently needed as useful info, and crucial to data exchange between tools - esp. for testing. @Robin (MGB) Yes that why the synch point is Render and LOD. If the first part works, and the existing facilities can be used to get outputs into SC4, then we can bootstrap the second later. Having said that getting the renders is still a big unknown. @Fantozzi - like it - next you'll be telling me our theme tune should be "Life in the Fast Lane"
Thanks for all off your additions/alterations, the name of this Product and the GitHub Repo. It's good news you're getting good with python as we're definitely going to need it, while for me its readable but very weird. And yes I'm very conscious of this not becoming a Ben Hur - the faster we get something working the more likely we are to finish it or conclude its not worth it. Page created in 0.584 seconds with 108 queries.